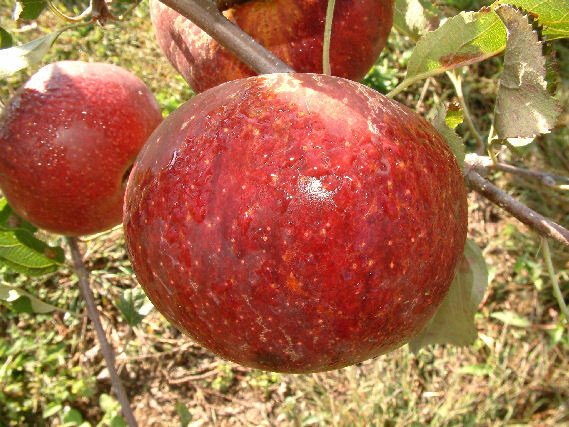 Hoover is a large, beautiful dark-red apple believed to have originated in Edisto, SC in the early to mid 1800’s. A dependable variety which leafs out very late in the Spring, thus avoiding most late Spring frosts. At lower elevations, the color tends to be a duller red. 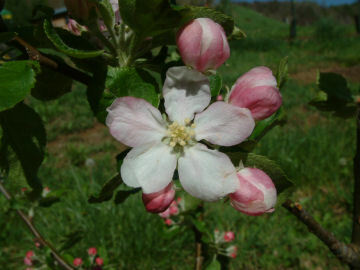 Fruit is large and slightly conical with firm, tender yellowish flesh. Ripens September to October and is a very good keeper.